ANNOUNCING THE POWDER GROUP TPG PRO MEMBERSHIP PROGRAM! From coast to coast and around the world The Powder Group brings artists together like never before while providing access to the most relevant makeup industry information, career guidance, promotional opportunities, and the biggest artists, brands and products in the makeup business. The Powder Group invites you become a part of the fastest growing artist community anywhere - and the new TPG Pro Membership program. Participation in the program affords you a wide variety of members only benefits to help to keep you inspired, informed and motivated - benefits that will grow you as an artist, strengthen your relationships and deepen your connection to the artist industry. We hope you'll join us and see what membership can mean to you and your career. Welcome to the new global makeup community. 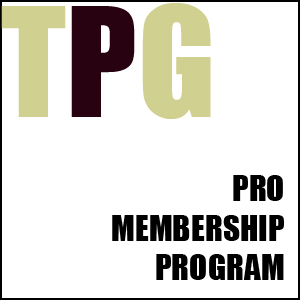 Welcome to The Powder Group TPG Pro Membership program. CLICK HERE TO BECOME A TPG PRO MEMBER TODAY! Receive 20% or more off the regular rates for all The Powder Group events including The Artist Summit, Evolution, Makeup 101, Business Evolution, The American Beauty Tour and all The Powder Group produced seminars and workshops. 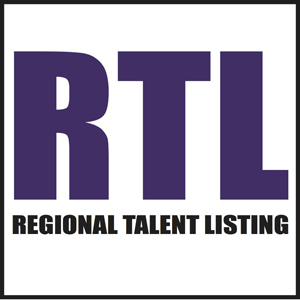 The Regional Talent Listing gets you noticed. Out online listing links to your website or email address and lets prospective clients and industry peers know where you are, what your specializations are and how to reach you. This $95 value benefit is yours for one year with your TPG Pro membership. Complimentary member events will be held across North America providing you unprecedented access to The Powder Group founder Michael DeVellis as well as top brands and educators. Events will be held in NYC, Los Angeles and other markets where The Powder Group operates our events with new event events announced as scheduled. Top brands, stores and educators offer TPG Pro members the best deals and members only offers online, in store and at The Makeup Show and The Artist Summit. Industry partner benefits will change and be added regularly and will be communicated in our members only newsletter. Click here for a listing of our Industry Partner benefits. Clear Soft Packs, 9x9 and all The Powder Group merchandise is always offered at a special rate for members through mail order, and at The Makeup Show and The Artist Summit. All products offered at our www.tpgproshop.com website is always offered at 20-40% discount to our TPG Pro members. This includes TPG Clear Soft Packs and Shoulder Bags as well as product from the industry's best brands including Alcone, Cinema Secrets, RCMA, Temptu, Skindinavia and more. Members receive 20% of more off regular rates for all one on one private events, career development sessions, web or marketing reviews, and brand development sessions, both in person or long distance. Only TPG Pro members will have access to joining our new members only Facebook community, keeping you in touch with other artists and members around the world. Network, share technique and career tips, talk product, promote your work and get booked. The TPG Pro Membership program is open to professionals in any are of the makeup and beauty industries including editorial, film, television and FX artists, business owners and cosmetics executives, hairstylists and estheticians, and bridal, salon and retail artists. Artists of any experience level are invited to be a part of the program. Students will also find an enthusiastic welcome as they begin their journey in the amazing career of makeup artistry and receive a special reduced rate to help them get a head start in their new career. Student are eligible for membership while enrolled in a school or within three months of their graduation. Students receive all member benefits with the exception of the Regional Talent Listing. Contact members@thepowdergroup.com for registration. Artists who have a current Regional Talent Listing are eligible for a prorated fee based. Contact members@thepowdergroup.com for registration and eligible rate. Membership requires TWO pieces of the following proof of profession: website, call sheet, letter of employment, paystub, union card, cosmetology license, certificate of diploma from an accredited makeup program or school, tear sheet with name credits. **Membership fees are non refundable unless otherwise determined by The Powder Group who maintains the right to refuse or revoke membership at our discretion. Membership benefits are subject to change at any time and without notice to members. *Please Note: Membership payments will be refunded if proof of profession is denied or at our discretiion. From coast to coast and around the world The Powder Group brings artists together like never before while providing access to the most relevant makeup industry information, career guidance, promotional opportunities, and the biggest artists, brands and products in the makeup business. The Powder Group invites you become a part of the fastest growing artist community anywhere - and the new TPG Pro Membership program. Participation in the program affords you a wide variety of members only benefits to help to keep you inspired, informed and motivated - benefits that will grow you as an artist, strengthen your relationships and deepen your connection to the artist industry. We hope you'll join us and see what membership can mean to you and your career. Membership fees are non refundable unless otherwise determined by The Powder Group. The Powder Group maintains the right to refuse or revoke membership at any time, at our discretion, provided a full refund of annual membership fees paid is made towards membership. Membership benefits are subject to change at any time and without notice to members.